Putting this challah cover on the website for sale today! 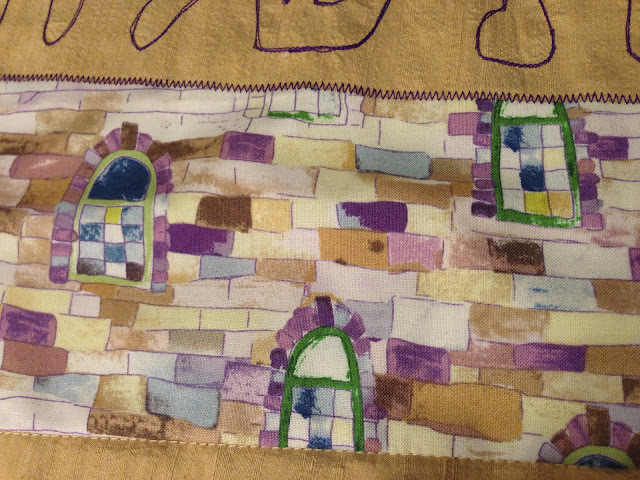 I have had this stone/window fabric for a long time and it always just screamed challah cover to me! 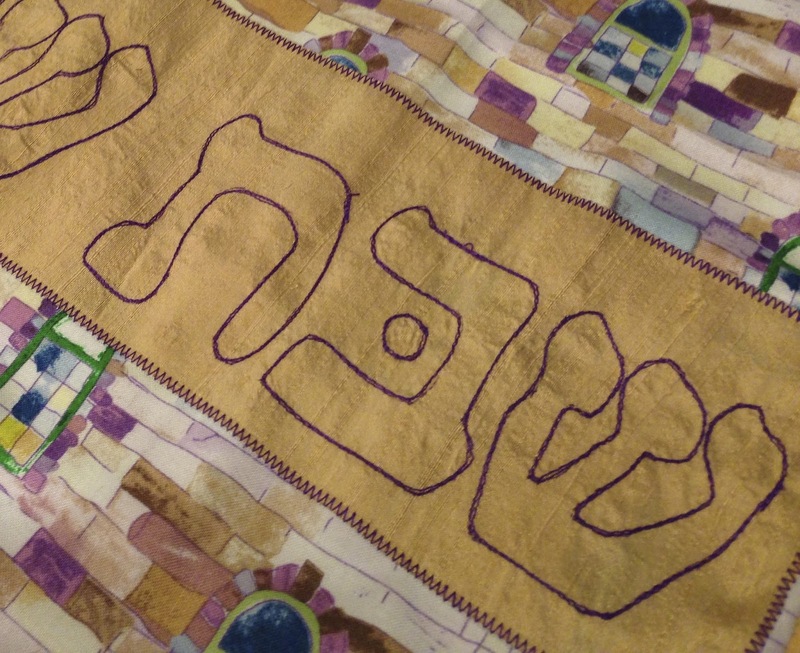 The gold is a raw silk, and the letters are embroidered. 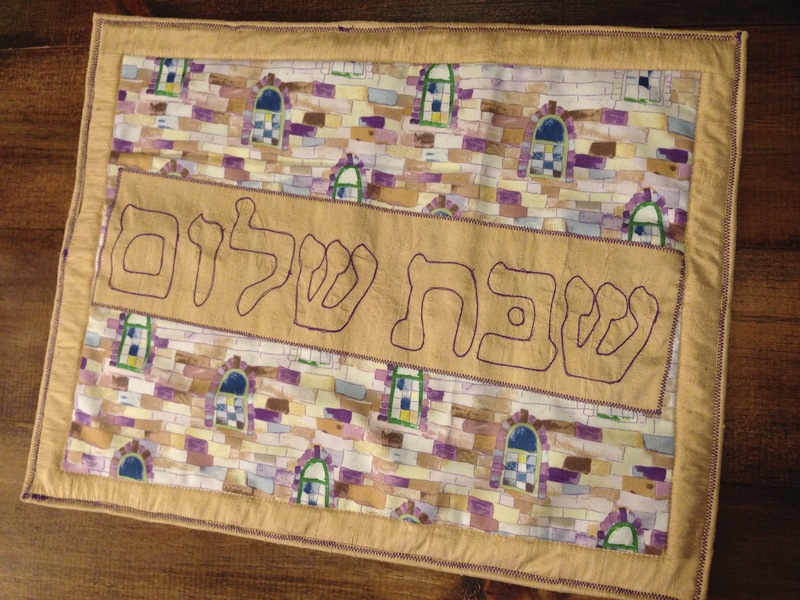 Add some charm to your Shabbat table, or makes the perfect wedding or anniversary gift! It can easily be personalized with a couple's name and/or wedding date. Contact me now to purchase!